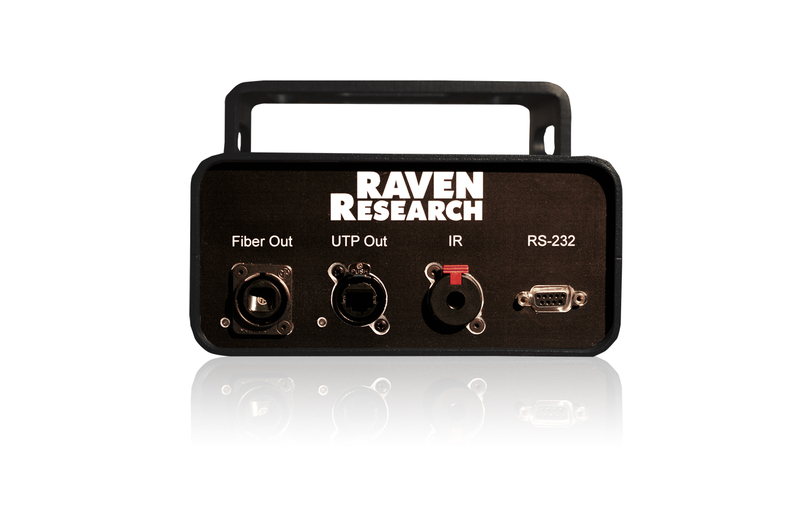 Housed in a thick and tough aluminum case, the RR3100 (Rugged Raven) boasts Neutrik professional entertainment I/O connectors capable of weathering extreme conditions in order to provide unfailing signal integrity. Combining the virtually bullet-proof exterior with the extremely resilient connectors—and factoring in that Raven’s resilient Talon 5 engine powers the whole package—ensures that the RR3100 is a perfect signal extension solution for the rental and staging market or live event producers. Link performance consists of support for 1920x1200 resolution video (including 1080p), embedded and auxilliary audio, full-duplex RS-232, IR and USB, with four USB outputs on the RR3100 transmitter. 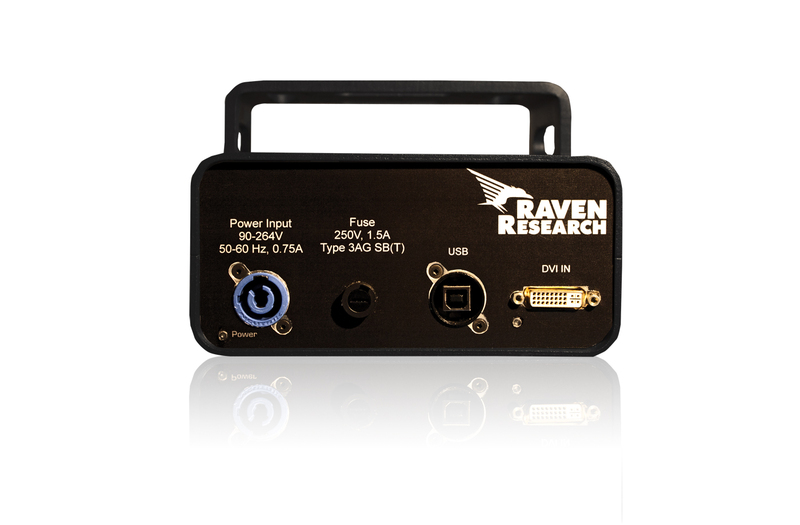 Additionally, an internal converter allows users to utilize fiber-optic cable in place of UTP as a transmission medium (if desired), to achieve distances of 1,800 feet, 6,000 feet or 22 miles depending on fiber type. 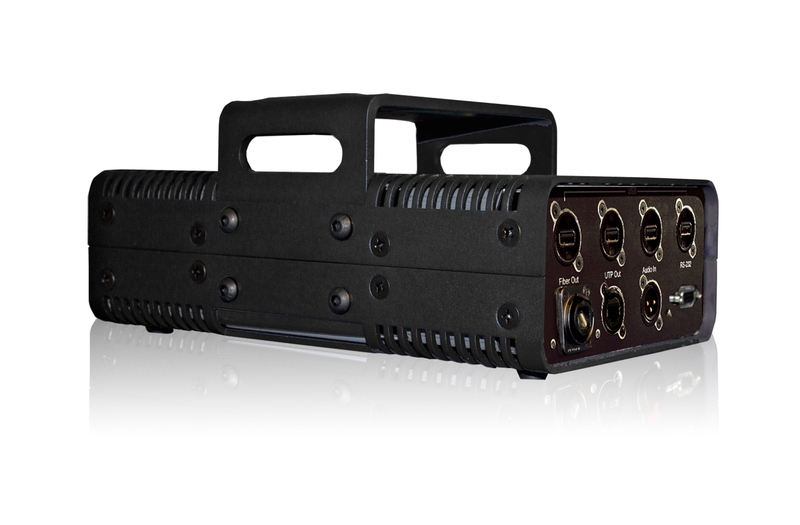 An moutning arm integrated into the RR3100's housing also allows for truss or beam mounting. 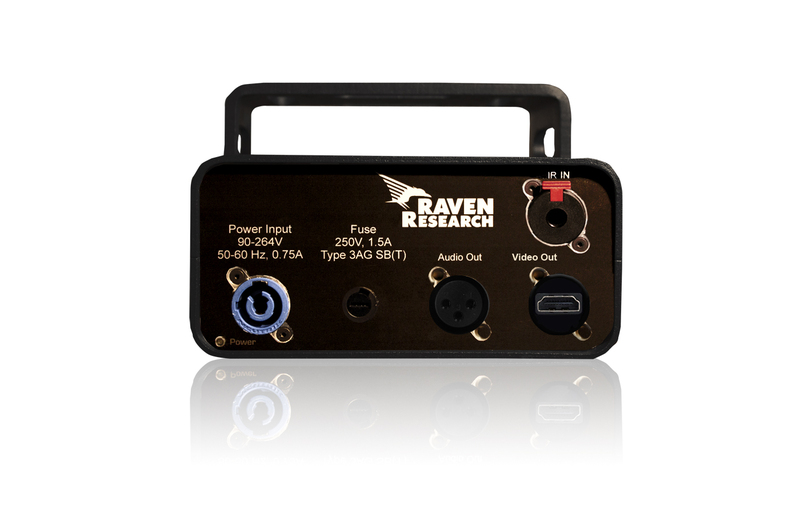 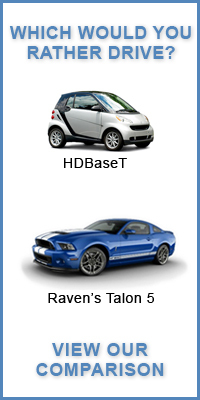 Raven’s Talon 5 engine, a proprietary solution for extending digital signals, features adaptive compression, a technology that seamlessly differentiates between text and motion video and renders each optimally on the same screen at the same time. 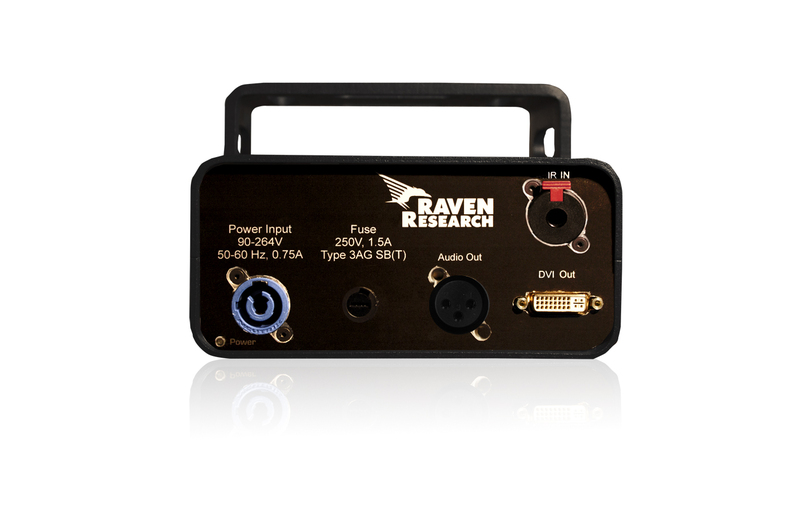 Plus, all Raven circuitry features Galvanic isolation, a process that eliminates the grounding issues that are all too common place in extension situations. 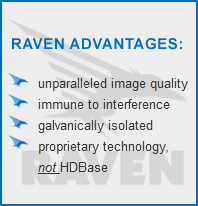 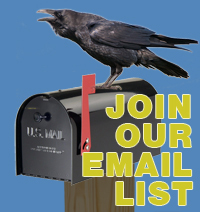 Additionally, Raven’s offerings are engineered utilizing networking electrical standards, ensuring resilient products that boot up or recover no matter what sequence connectors are plugged in or order in which units are powered on. 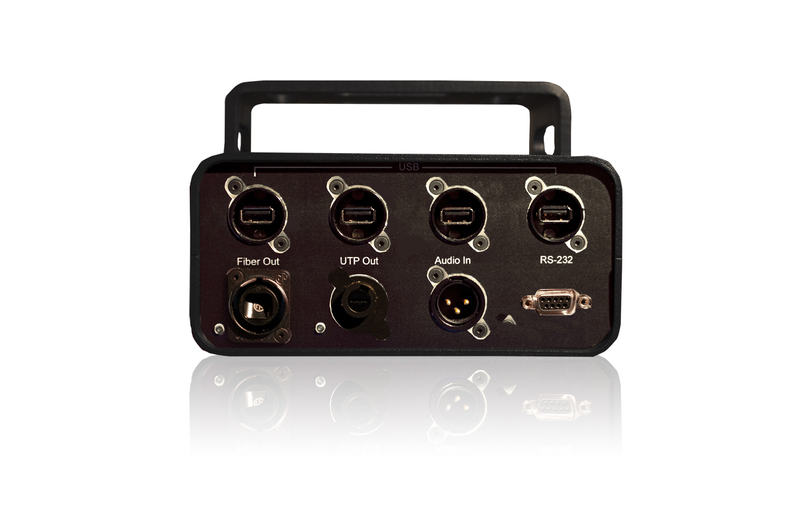 RR3100 units are available with two different digital video input/output connectors.